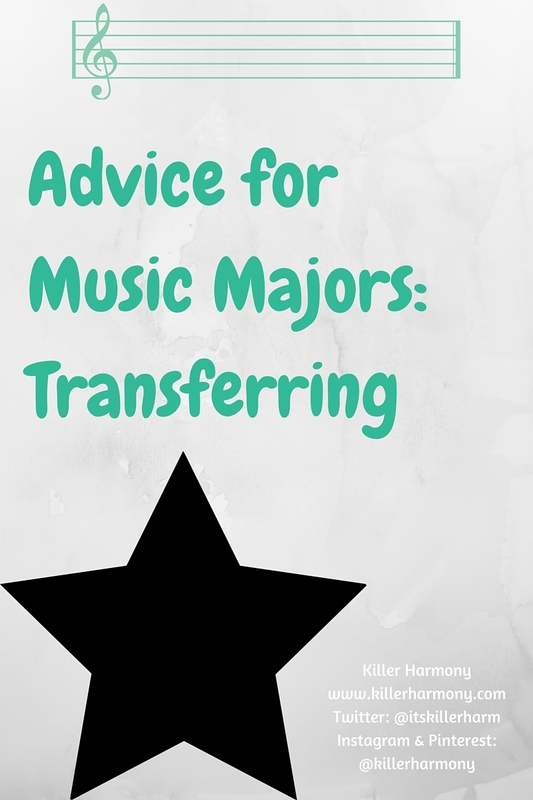 This is a topic that hits close to home for me, because I am a transfer student majoring in music. I have learned a lot from just my experience transferring, and that is all that I am going off of here. My experience. I realize that different schools will have different standards, and thus, it might not be the same for you as it was for me. I am going to go into details on WHO would consider this route, WHY one might transfer, HOW you should go about it, and WHEN the best time to transfer is, in my opinion. With the rising cost of tuition, many more people are looking to starting at a community college, getting their basics out of the way, and save-maybe even earn-a little money. You don’t have to be a single working parent to fit the mold of a community college student. I, and one of my current floormates/friends, attended a community college right out of high school. You also don’t have to have a specific GPA. Some people who might have slacked off in high school choose the community college route to build a better GPA, but I don’t fit that stereotype. I graduated with a pretty good GPA. The point is, anyone from any socioeconomic status, academic merit, age group, etc. can be seen attending classes at a community college. Why did I start at a community college? The main reason was to save money. I am terrified of student loans, like seriously TERRIFIED of them. I have heard so many horror stories about loans, and I don’t want any of that. Other people might have other motives. Family responsibilities, a job, health concerns. But for me, it was the money. I think that one con of community college-at least, if you intend to finish your bachelors-is the fact that once you get there, you aren’t done with your college search. You still have to think about the universities that you think might be a good fit, and you have to visit them, fill out applications, the whole nine yards. It can be overwhelming when you feel like you should have been done with it all when you graduated high school. You should go about transferring the same way you did with four year schools when you were a senior, maybe a little better, since you’ve matured. Use the Internet to look up the schools you are considering, blah, blah, blah. If you want a detailed explanation of how to apply to college, contact a school counselor. Lastly, when is the best time to transfer? I transferred after two years, earned an associates degree, and while I don’t regret when I transferred, I probably would not recommend the same be done by music majors in the future. I was very lucky to have attended my state’s most prestigious community college for music. Even so, the school only offered the first year of music theory and aural skills classes. Don’t get me wrong, it was a great school, but the lack of second year music classes meant I had to take a year off from them. I was able to get some more general education classes in, but I definitely set myself back a bit. I had to spend my summer relearning some of the concepts from theory 2 that I had forgotten. If you are at a community college that does offer second year music classes, I would still recommend transferring after a year, because those second year classes are not as regulated. That means that you might have to take those classes again at your new university. If you don’t, you might have to make them up on some other way, or you might feel like you are out of the loop in more advanced music classes. I hope that this helps you if you are transferring or will ever transfer between schools. While this post is directed at community college students, anyone who is planning on switching music schools can find something helpful here. Do you have any other questions about my experience transferring as a music major? Leave ’em below!